Today an important decision was made. When I injured myself at Revelstoke, in Canada in January 2015, I was about to start a seven-day heli-skiing trip with CMH Heli-skiing. They are very much the go-to company for Australians venturing to the high peaks in Canada. The company very kindly agreed to give myself and friend Lou Stevenson, who was also on the trip, a credit for the 2016 season in lieu of the season we had missed. As 2015 has worn on and I have got progressively stronger, I have deliberated not only whether I could ski in early 2016 but also whether I could take up CMH’s offer for the coming 2016 Canadian winter. Over the last week I’ve realised that this is a bridge too far. While I may be able to ski, there is no way I will be jumping out of helicopters on precipitous slopes somewhere in Canada. As part of the early stages of my skiing rehabilitation, this may be setting goals that my body can’t keep. Many thanks from Lou and I. 2017 it is. Let’s hope for a long life. I am eternally grateful to both Travelplan for organising this and CMH for allowing it. 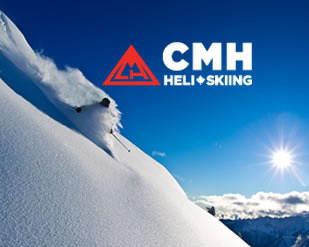 CMH has this extraordinary reputation for professionalism among skiers all around the world. I agree even though I have never actually got to ski with them. So far, at least, they have been extraordinarily professional to deal with. I look forward to the day when I can actually jump out of one of their helicopters, rather than just go through all the planning and training. Goal number four is still intact. I would like to go skiing in January/February 2016 to celebrate the 12 month anniversary of my injury. It just won’t be heli skiing. It was a quiet Sunday and I had nothing on after I came home from the swim that BBC. I was too tired to go to the gym yesterday so I was shamed into going this afternoon. It turned into a pretty good session. I really feel I have entered a new phase were I can now do a lot of these exercises without too much pain. The Virgin gym at French’s Forest is very quiet on a Sunday afternoon and I practically had the place to myself. It’s a strange experience being in a large cavernous space like a gym, with very few people about and just going quietly about your exercise program. Gyms are not that sociable. People don’t talk to each other and they get absorbed in their own world. A lot of people exercise with headphones on indicating they are not interested in communicating with anyone around them. I think that’s why I’ve never really enjoyed going to gyms because they are essentially antisocial. Nevertheless, this was a really mellow session and the leg press machine in the gym is next to one of the floor-to-ceiling windows. I sat there doing my leg presses and looking out over the bushland, down towards the ocean and the harbour. There are worse ways to spend a bright sunny afternoon.I did the same round of exercises that I did with Belinda in the city during the week although I up the number of sets with the leg press and also the leg. I really have my heart set on getting to 80 kg with the leg press as this is my body weight. I feel if I just keep at it it will come pretty soon. The leg extension and leg curl machines will be harder to build up as I’m only using my bad leg. There are ten common mistakes made when using a gymnasium to assist in post surgical rehabilitation from a tibial plateau fracture. 1) Not warming up properly before beginning exercises. When arriving at the gym a routine of stretching or walking on the X trainer or time on the bike should be undertaken to warm and stretch muscles and tendons. There is never a circumstance where you should go straight onto the machines such as less press, leg curls or leg extensions when cold. 4) Using machines in the wrong way or doing exercises using poor posture. The latter can cause back problems in particular. 5) Simultaneously increasing the weight and the number of repetitions in a graduated exercise program. Repetition should be increased or weight increased but never should weight and repetitions be increased at the same time. 7) Favouring your good leg while doing exercises or machines. This is very common and I certainly did it in the early stages. For example when squatting I would marginally shift my hips to the left, putting more weight on my good leg when standing up. Ditto lunges and even on the bike. I had to consciously avoid peddling the bike with one leg only. This is understandable as your brain is trying to protect the site of the injury. Mustn’t do it though. All sorts of problems with hips and lower back will result. 8) Not doing exercises regularly enough. Erratic exercise is almost as bad as no exercise at all. As soon as regular exercise is halted, even for a short period of time, the muscle condition goes backwards and an injury is likely if, for example, a patient uses the same weight/repetition regime that they were using a month ago. If you have a long break you really have to go back and start again. 9) Avoiding pain. If yo are going to recover you will have to confront some pain. It’s inevitable. You have had a broken leg and surgery and to fully rehabilitate you will have to stress the muscles, tendons and ligaments. This hurts (take it from one who knows!) If you avoid certain machines or exercises, just because it hurts, then you will never get anywhere. The key is to do exercises until it hurts a bit (maybe 4/10). If it hurts a lot (say 7/10) you should stop immediately. This is where a good personal trainer is gold. They can guide you as to how much pain is valuable. Too much pain and you risk injury. Too little and you are wasting your time. 10) Staring at pretty girls in the gym. I do this all the time and it’s a significant impediment to recovery. Being distracted by pretty girls has all sorts of unfortunate consequences such as stumbling backwards off a walking machine, falling off the Jacobs ladder, dropping a kettle bell on your foot or toppling over backwards doing squats. In a worse case scenario, the police may be called, you may be ejected forcibly from the gym and told never to return. This will be a setback to your rehabilitation and severely dent your pride. Moreover, it will make you sad when you go home on Saturday night after a gym session and spend it by yourself watching Rugby League. You are in the gym to exercise and rehabilitate. Don’t look at the pretty girls. Concentrate. Sunday evening I was tidying up some old filing cabinets that had just been brought into my apartment from storage. I came across a tattered manila folder full of newspaper clippings from 1998. This was the time I was recovering from a neck injury which required surgery after a horse riding fall. I was on my back for 6 weeks and then, as now, music and books helped me get through it. The file contained a stack of yellowing newspaper articles, mainly book and music reviews. Interesting to see what I was curious about 17 years ago. I was 45 years old. 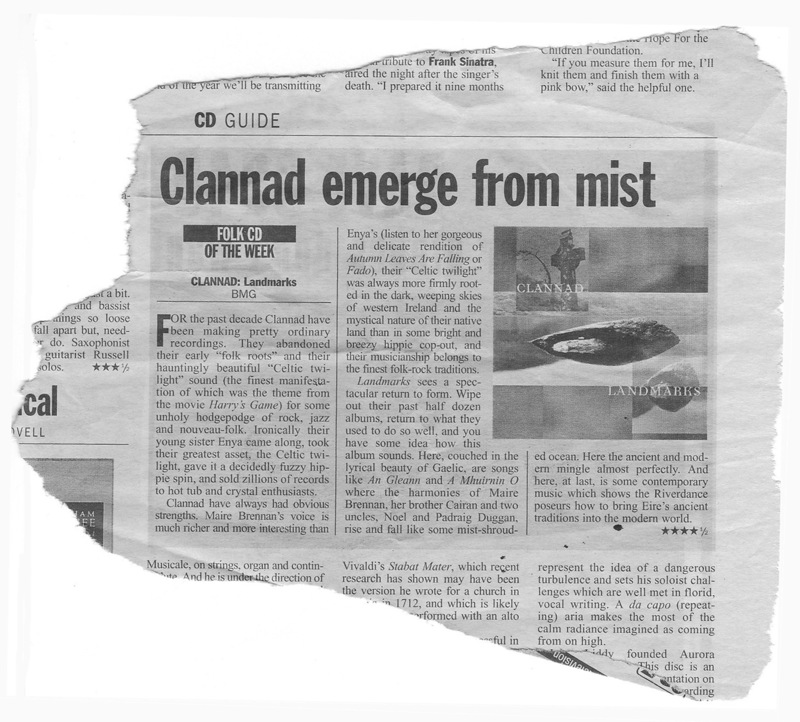 One faded clipping, torn roughly from the Sydney Morning Herald, was a review of a new album, Landmark from an Irish group called Clannad. I don’t know why I kept it as I’ve never heard of them. Landmark was released on CD in 1997. (Yes CD’s were new technology back then, in the days before IPods). I read on. Clannad’s music is traditional Irish folk and Celtic with some jazz. Turns out the band members are related and Enya is a sister to three of them, (Moya Brennan, Ciaran Brennan, Pol Brennan)and was once part of the group. I loved her music back then and this must be why I kept the clipping. The article said that Moya Brennan has a better voice than her more famous sister. I remember lying in our house in Seaforth in 1998, jammed full of painkillers, my neck screaming like a banshee and the sounds of Enya floating through the speakers in the ceiling. I downloaded the Landmark album from ITunes and spent a quiet Sunday evening listening to Celtic harmonies after Cronulla got through demolishing Souths in the NRL final. Music and Rugby League as therapy. Not a bad way to spend Sunday evening when you are on your own. I can think of worse. I just don’t know how players like Paul Gallen will feel when they reach my age. I’m sure everything will hurt and large parts of their bodies will have to be replaced. They are a marvel and an inspiration to me, particularly how quickly they get back on the field after serious injury. I’ve discussed this with my personal trainer who has handled a lot of footballers in New Zealand. She said they are young and very fit and they have a very high tolerance to pain. She also said that they often go back on the field without fully recovering and this will inevitably have consequences longer term. I still admire their courage. I don’t know how I would have got though this year without music. I love American bluegrass music so it’s no surprise that I like an album like Landmark. Bluegrass is just Irish folk music with banjo accompaniment. Glad I found that old newspaper clipping. Never throw anything out. Finished the antibiotics for the gut bugs this evening. Hooray. Now have to wait about 6 weeks to see if they have worked. What a busy Saturday it’s been. Started with the 1km swim at the BBC. Summer is in the air but still early mornings cool. I arrived late and missed the start. Got times mixed up. Went last off the beach with Anthony Green, one of the best swimmers in the club. Needless to say I finished a very long last – about 200 metres behind the field. Didn’t trouble Greeny at all except when we were walking into the water at the start. Didn’t see him after that. Still swimming very slowly. Not sure why. Feel lethargic and fatigued before I get in. Maybe it’s the antibiotics. They finish tomoorw. 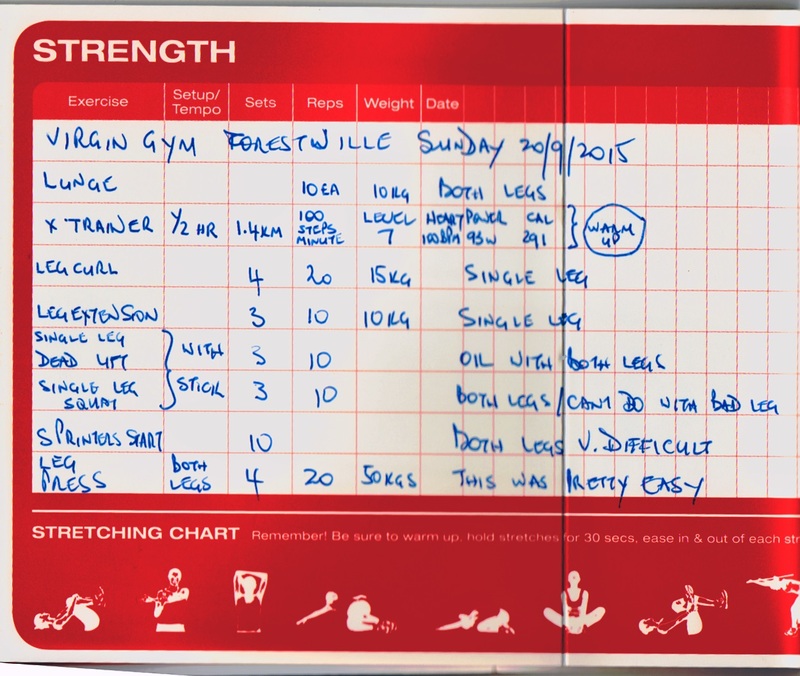 Had nothing on Saturday afternoon so decided I would try the Virgin gym in Frenchs Forest again. Enjoyed it last time. Great views from the glass walls, south to the eastern suburbs, the city, North Sydney and Chatswood. I had no idea the views were as good from Allambie Heights. Leg press 100 x 20kg Using both legs. This was relatively easy. Did it without stopping. Will probably have to up the weight. Nice way to spend Saturday afternoon and my leg didn’t hurt too much. client calls, or matters to attend to from the office. It looked like a good day for catching up on some exercise for my leg. I’ve been slack about this since coming back from the Jatbula as my knee has been so sore. I drove to the Virgin gym in French’s Forest. I hadn’t been there before but it’s covered by my city membership so I thought it was worth a look. Big barn of a place, bright, floor-to-ceiling glass windows overlooking the surrounding suburbs. Lots of Mum’s getting some fitness time after dropping kids at school. First stop was the stationary bike. Haven’t been on one for months. Pedalled away for half an hour at level 7, with a cadence of around 60 to 70 RPM, not too bad I suppose. Next was the leg flex machine. I didn’t three sets of 10 reps x 20 kg. On the leg extension I three sets of 10 reps but only 10 kg, lifting the bar with both legs and lowering it with my bad leg as Belinda has shown me to do. Finally to the leg press. I managed five sets x 20 reps at 30 kg. 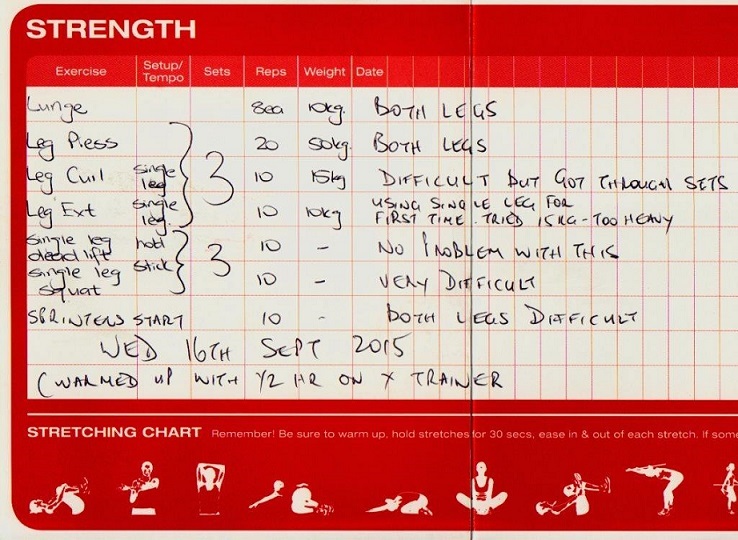 I was pretty pleased with that but my leg is much weaker than it was before I left to go on the Jatbula. 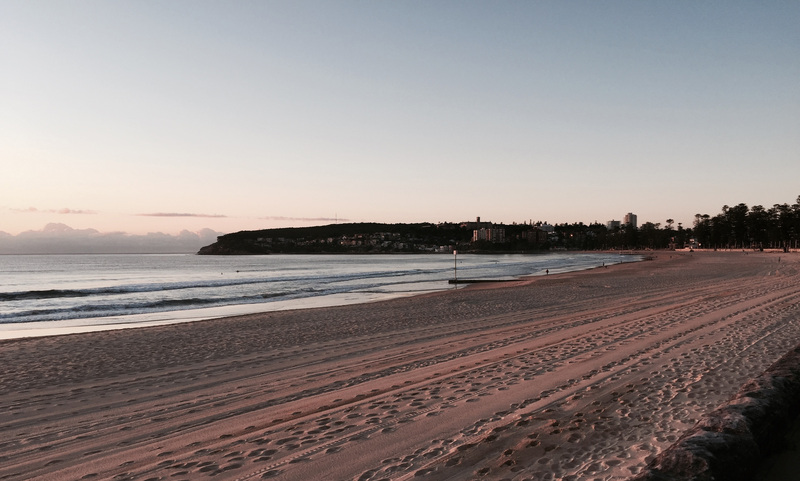 In the afternoon I had I visited Manly pool for my first ever swimming squad. At 5:30 PM I presented myself to the coach, Narelle Simpson, a fixture at the pool..
“Narelle, you probably don’t remember me,” I said. “Yes I do. Mr Kelly, Amelia’s dad” she replied, referring to my eldest daughter who had trained with her as a teenager. “Amelia used to swim here in Elka’s time,” she said referring to Elka Graham, another Manly girl who became an Olympian. “That’s a long time ago,” she said to her assistant. “Yes, about 16 years ago,” I said. I had not seen Narelle since then. She has taught swimming and coached at Manly’s Boy Charlton swimming pool to generations of local kids including my own. It’s an interesting point to reach in your life when you are remembered more for your children’s athletic achievements than your own. It was very quiet when I entered the pool. It’s still a bit cold so the big, after-work crowds aren’t here yet. That’s summer and daylight saving time. There was only one other person in the squad and the water was very still as dusk rolled in. 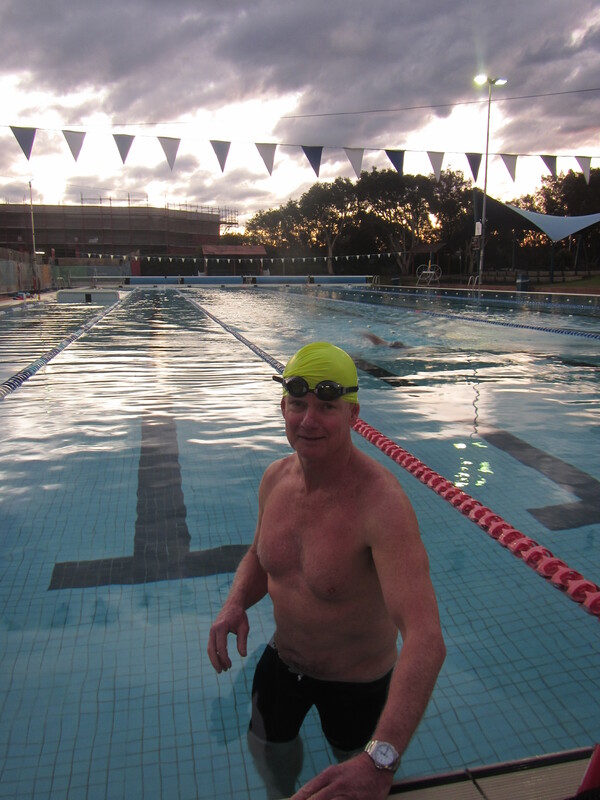 Narelle warmed me up by doing 50s of freestyle and then some backstroke. The backstroke hurt my leg a bit. She then proceeded to give me a rundown on everything that was wrong with my swimming. It was quite a list: stroking short and not pulling right through to finish off, not enough trunk rotation, lifting my head when I breathe, and breathing too late. I did a series of drills with a pool buoy and a kickboard and I realised that at 62 it’s probably too late to attend your first swimming squad. I also realised I do swim ugly. I’ve also really slowed down since the surgery in February. I don’t know why it is still impacting on me. I should be getting over it by now. I’m not. Never mind. I’ll keep coming to the squad until we do the Palm Beach to Manly swim which is what this training is all about. God put me on earth to do something. It wasn’t swimming.